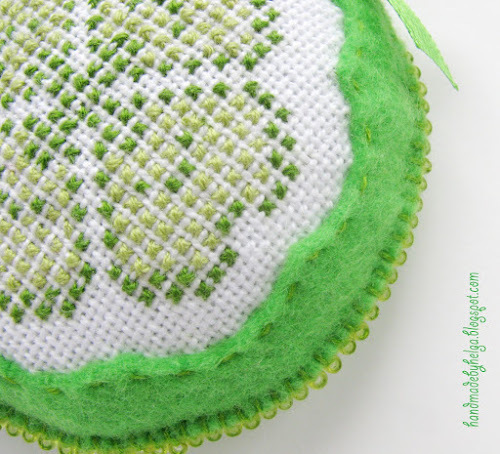 Handmade by Helga: First day of spring! Spring has come, my dears and nears! I wish you a very happy spring! 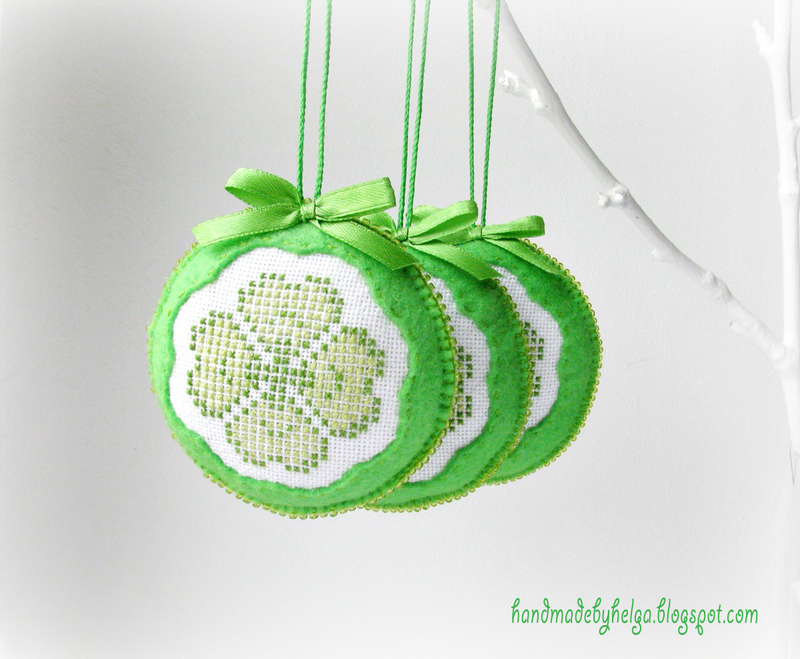 I want to show the hand sewn felt ornaments decorated with a cross embroidered 4 leaf clovers. Perfect as favors to St. Patricks Day – on of the famous spring holiday. The ornaments looks well in any interior. Son unos colgantes preciosos , te felicito !